Jupiter, FL. 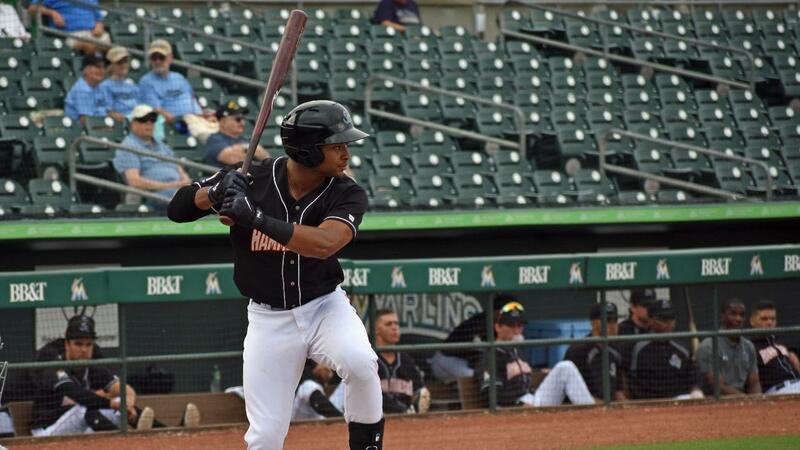 - The Jupiter Hammerheads came home to Roger Dean Chevrolet Stadium Monday night after spending six games on the road only to be left scoreless by the visiting Clearwater Threshers. The Threshers beat the Hammerheads 6-0 in the opening game of the four game series. This drops the Hammerheads to 68-61 on the season. Right hander Josh Roeder (6-5, 3.57 ERA) took the mound to start for the Hammerheads throwing eighty-three pitches, fifty-two of them for strikes in six innings. Roeder gave up eight hits and five runs as the Threshers took an early lead in the first inning where they scored four of their six runs. Reilly Hovis (2-1, 3.29 ERA) would come in for the top of the seventh inning. Hovis faced six batters and threw fourteen of his twenty-six pitches for strikes. He allowed two hits and the Threshers final run of the game. One of the best outings of the night was from Zech Lemond (3-0, 0.67 ERA) when he would start the eighth inning to face three batters and end his appearance by striking all three of them out. Nine of Lemond's eleven pitches were thrown as strikes. Travis Neubeck (0-1, 3.27 ERA) would come in to close the game for the Hammerheads. Neubeck would face three batters also, striking out two of them. He threw ten pitches, seven of them were strikes. Though the Hammerheads were left scoreless, they had a total of eight hits on the night. Corey Bird, Riley Mahan, and Gunner Schubert all went two for four and totaled six of the team's eight hits. Newly acquired, Schubert, would hit his third double in five games off of Threshers starting pitcher, Ramon Rosso (6-2, 3.02 ERA), in the bottom of the second inning. The Hammerheads would get runners on the bases in seven of the nine innings, but would leave seventeen runners on the bags for a team total.